THE Philippine men’s basketball team on Monday night held its first practice at the Meralco Gym hours after Andray Blatche left for China. 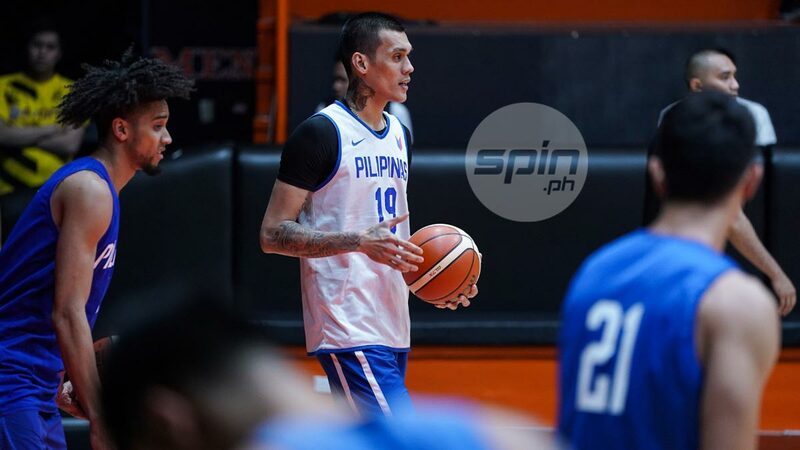 Team Pilipinas had 10 players in Monday’s practice, the first since Blatche’s 10-day stay to train with the national squad for the sixth and final window of the Fiba Basketball World Cup Asian qualifiers. Blatche had to return to China to rejoin his club team and will reunite with the Philippine squad on February 16 in Doha. Blatche only had three full practices with the team since arriving last February 1. The naturalized Filipino center had two short practices with Gilas but without a full team due the players' commitments in the PBA. Present during Monday’s practice were Paul Lee, Jayson Castro, Gabe Norwood, Poy Erram, Marcio Lassiter, Raymond Almazan, Mark Barroca, RR Pogoy, Troy Rosario and Thirdy Ravena. Absent were were June Mar Fajardo, Japeth Aguilar and Scottie Thompson.